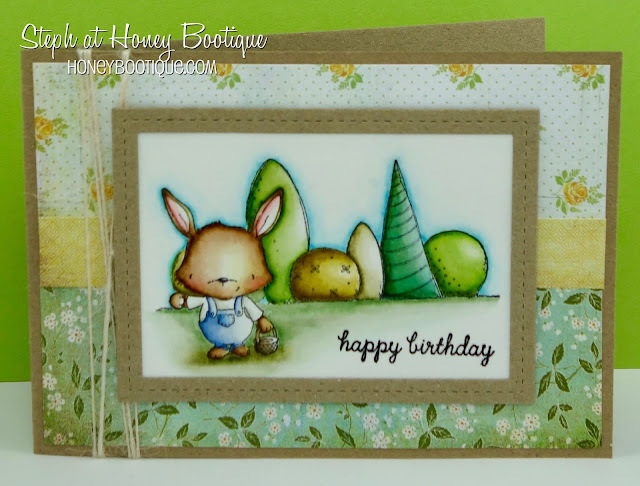 Honey Bootique: Purple Onion Designs- Riley and Garden Bushes! Purple Onion Designs- Riley and Garden Bushes! I stamped and masked Riley and then overstamped the bushes so they appear behind Riley. 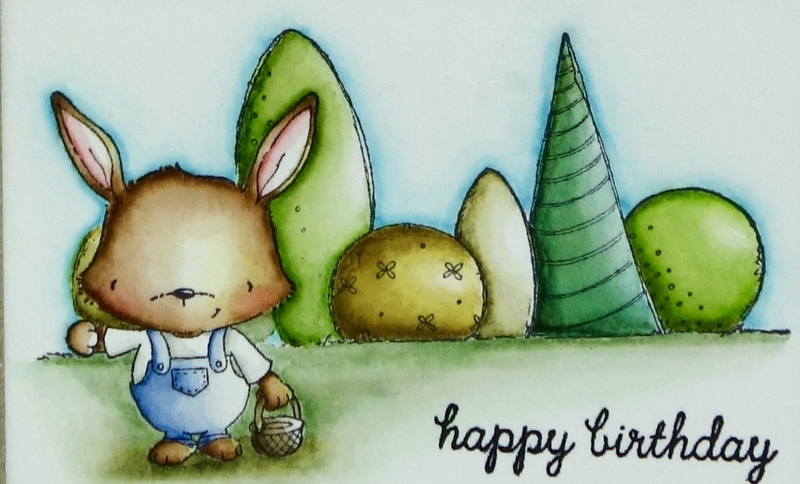 I then coloured with Distress Markers. Papers are an old set by Basic Grey- I thought the gentle colours were a perfect match for this image. I then made a little frame for the image and added some garden twine beneath. Love these stamps so much. How cute is Riley there?! He's perfect for all those male gardeners out there.